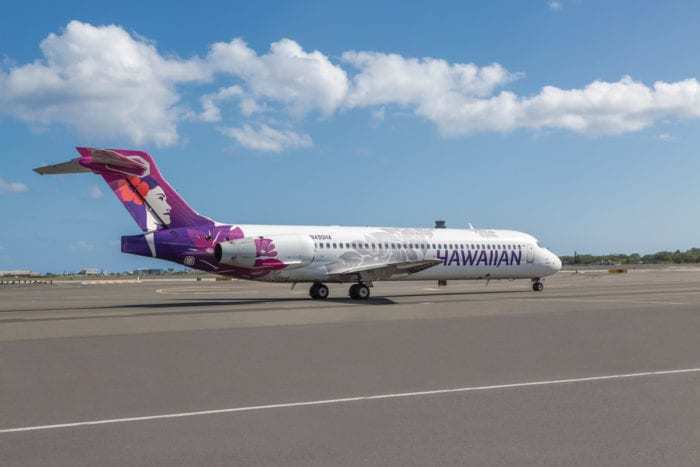 Halfway through a routine flight, a Hawaiian Airlines Boeing 717 aircraft reported a loss of cabin pressure. 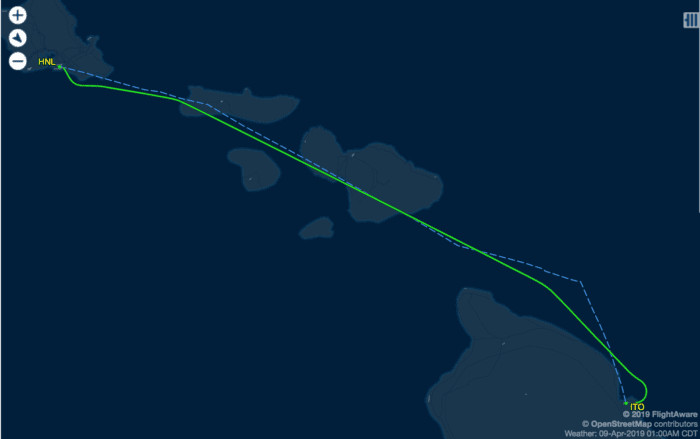 Flight HA552 was en route from Honolulu to Hilo when oxygen masks deployed. The crew made a rapid, controlled descent before landing safely in Hilo, Hawaii. The plane in question was one of Hawaiian’s 717 aircraft. This aircraft performs interisland flights for Hawaiian Airlines. HA552 was a routine flight between Honolulu, the capital and largest city in Hawaii, and Hilo, a city on Big Island. Gate-to-gate time for this route is usually close to one hour. However, the flight time varies but is usually between 30-40 minutes. HA552 was lightly loaded on the 8th of April when this incident occurred. There were 46 passengers and five crew onboard. For reference, Hawaiian Airlines outfits their Boeing 717 aircraft with up to 128 passengers. About 18 minutes into flight, as the aircraft reached 25,000 feet, oxygen masks deployed in the cabin. The crew followed procedure and made an emergency descent to a lower altitude. About 10-15 minutes after the masks deployed, the aircraft landed safely in Hilo. All told, the in-air time for this flight was around 30 minutes. Hawaiian Airlines reported no injuries. Hawaiian Airlines indicated that there was a component that malfunctioned. The component in question affects cabin pressure. Due to the malfunction, cabin pressure dropped and oxygen masks deployed. Cabin pressure loss occurs for a variety of reasons. Sometimes, pilots forget to pressurize the cabin. Other times, malfunctions, such as in this case, occur. Although there may be some variations, procedures are in place to ensure passengers arrive safely at their destination. First, it is important for passengers to ensure they are wearing their oxygen masks properly. The mask should be fitted around your nose and mouth. In addition, ensure the straps on the side are tightened. While frequent fliers are aware of this, many images dealing with cabin pressure loss show passengers wearing their masks incorrectly. Is it common for cabin pressure loss to occur? Loss of cabin pressure is not a common event in aviation. Aircraft are pressurized to a certain altitude. This is to to make the flying experience more comfortable. Nowadays, newer aircraft are pressurized to a lower altitude. Regardless of the age of the plane, cabin pressure loss is quite rare. 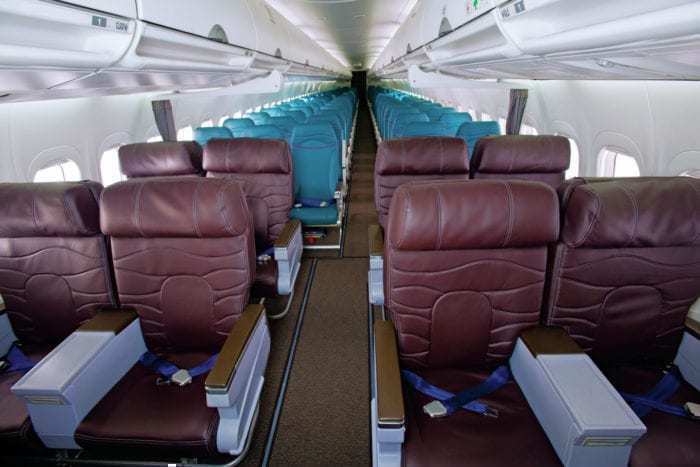 Hawaiian Airlines outfits their 717s with up to 128 seats. These aircraft are short-haul workhorses. Hawaiian Airlines operates 20 717 aircraft. Combined, these 20 aircraft fly a total of close to 80 flights per day. These are more comfortable narrowbody aircraft with first class in a 2-2 seating and economy in a 2-3 seating. The 717 are an aging breed of aircraft. They were originally a project under McDonnell Douglas that Boeing took over when they merged. Hawaiian Airlines will need to select a new aircraft for their short-haul, narrowbody fleet. Options include CRJ aircraft, the E190 family, or even the A220. Have you ever experienced a loss of cabin pressure? Let us know in the comments below!